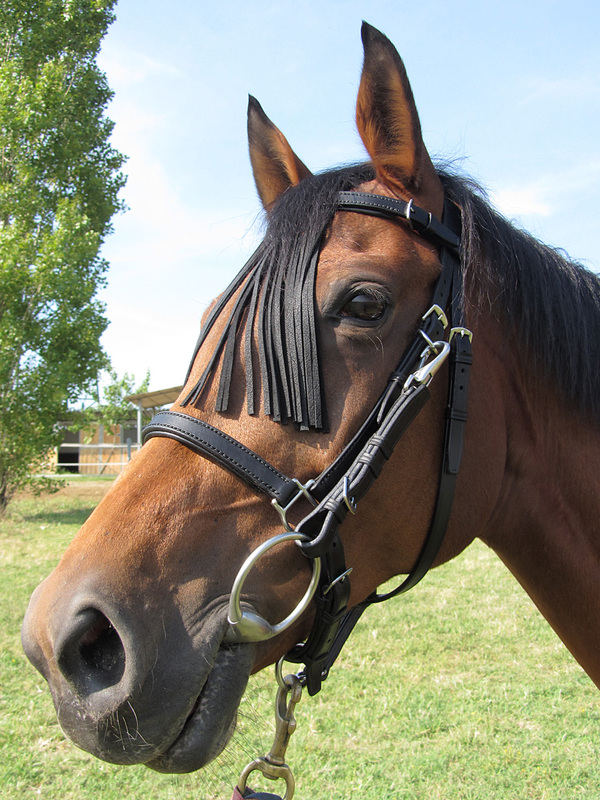 A nice piece of bridlery, imo, made on request for a lady that owns a mare with very sensitive ears. Unfortunately I made it in wrong colour! 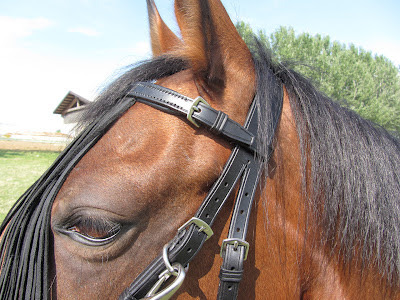 Her request was for dark havana with hazel paddings... and I made it in black, with black paddings. 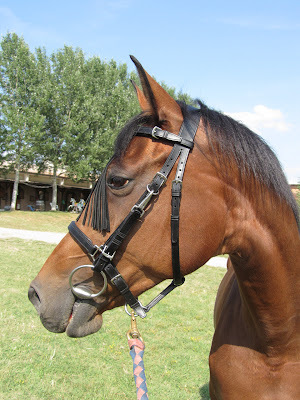 That makes this bridle-halter the only item ready to ship on this blog! Contact me for pricing if you're interested. 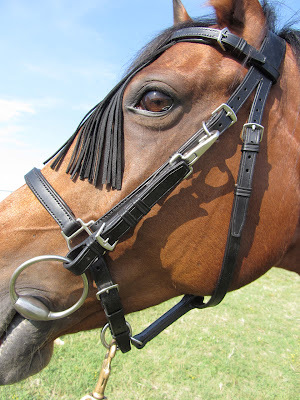 Tech specs: size cob+ or full-, fully adjustable (cheekpieces, noseband, throatlatch, bit billets), stainless steel fittings. I put a buckle on the browband, so the owner can open it and put it on without worrying mare's ears, like a common halter. Compared to the first model of bridle-halter, this one uses standard buckles instead of full swage halter ones, and flat clips for bit billets. Bit billets are buckle-type instead of hook ones: this allowed me to put 3 adjustment holes on them, granting a better wearability with different types of bits.